The only thing better than hitting the open road with the freedom to go anywhere is saving money in the process. Let us quote your RV insurance to see how much we can save you. RV Insurance coverage is designed for most recreational vehicles, including motor homes, fifth wheel trailers, Airstream travel trailers, mounted truck campers and more. 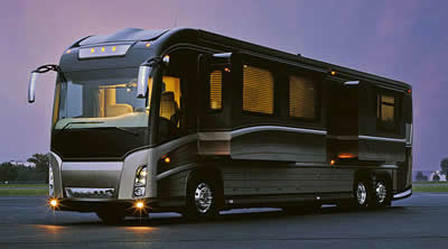 Specialized RV coverage provides the features specific to the needs of an RV owner like contents coverage. Bodily injury liability - for injuries the policyholder causes to someone else. Medical payments or Personal Injury Protection (PIP) - for treatment of injuries to the driver and passengers of the policyholder’s car. Property damage liability - for damage the policyholder causes to someone else’s property. Collision - for damage to the policyholder’s car from a collision. Comprehensive - for damage to the policyholder’s car not involving a collision with another car (including damage from fire, explosions, earthquakes, floods, and riots), and theft. Uninsured motorists coverage - for costs resulting from an accident involving a hit-and-run driver or a driver who does not have insurance. Contents Coverage - Covers damage or loss of the contents of the recreational vehicle. Contents coverage is typically purchased at a set amount not to be exceeded in a claim payout. Contact us to learn more about the right RV insurance for you. Licensed in Kentucky, Florida, Georgia, Indiana, Maryland, New York, North Carolina, Ohio, Pennsylvania, South Carolina, Tennessee, Virginia and West Virginia.